We look forward to seeing you at our first team meeting of the year on Friday, January 22, 6:30-8:30pm at ROSE MEDICAL CENTER in the Physician’s Office Building II at 4500 E. 9th Street (at Cherry), across the street from the main hospital entrance. We will be in the Goldstein Conference Rooms 1 and 2, located on the basement level. Many of you told us in our recent member survey that you would like more time to socialize with fellow DPP teams, so we thought we’d start the new year off with something a little different. DPP will provide pizza and beverages, but if you’d like to bring an appetizer or dessert, please feel free. We’ll be recapping highlights from 2015 and telling you about some of the great things in store for 2016…our 15th YEAR ANNIVERSARY! 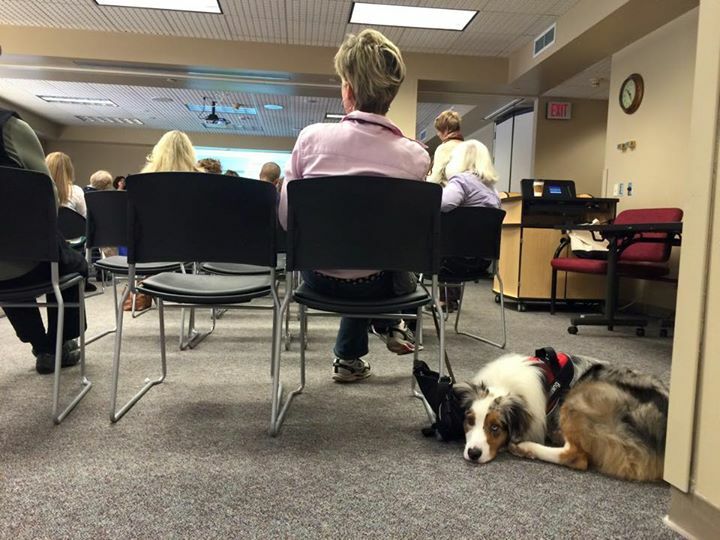 Registered therapy animal partners (in their vests w/PP ID badge) are more than welcome to join the fun. Please be mindful that space will be limited and “working dog-to-dog” protocol will need to be observed.